More than a recipe, it is legend. Yes. That is what I said. So? 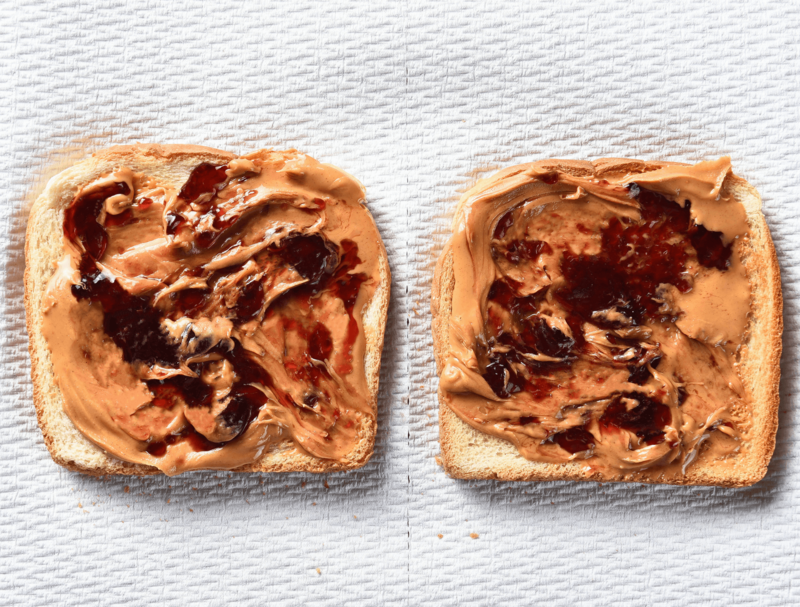 What is the memory you have of a childhood food? Every event, party, wedding, holiday, and yes, funeral included these potatoes. My grandma made them and served them with a honey ham, warm yeast rolls, and green beans. They were… divine. They still are. Oh, and let me interject… IF there are any leftovers, these and a couple eggs over-medium… To. Die. For. Granted, they are a caloric death storm, they are politically and religiously incorrect, but oh… so right. So, we save this one for the best of occasions so as to save us 100 laps around the track. They simply cannot be beaten. 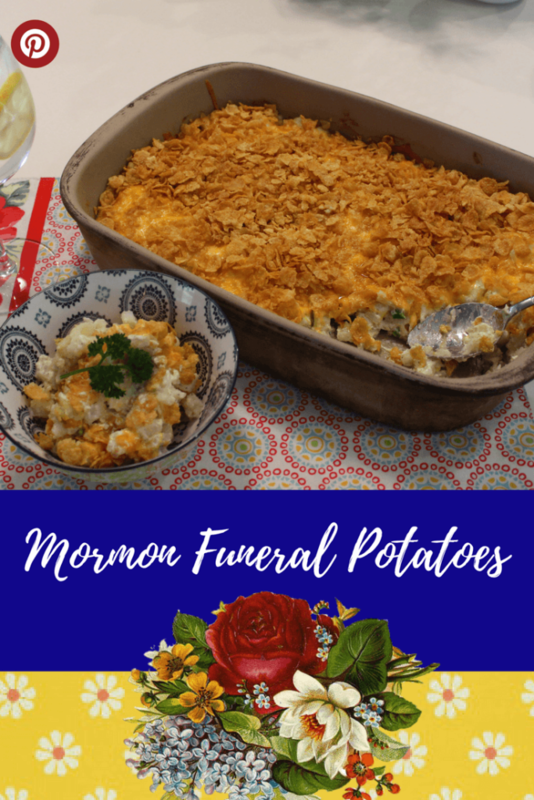 I think you’ll find your family (especially manbabies) will deem these taters utterly notable and will make your family eager to attend the next family funeral. Just absolutely a family favorite!!!! In a large bowl, whisk together sour cream, mayonaise, half and half, salt and pepper. Fold in green onions and hasnbrowns. Pour mixture into 9x13 greased casserole dish. Sprinkle cheese over top, followed by corn flakes, and finally melted butter. Cover with foil and bake 45 mins. Remove foil and bake 10-15 minutes more. Casserole should be golden brown and make you cry just a little because they are so freaking fantastic. Pull yourself together and serve! I can’t be liable for what these potatoes do to your heart or your waistline. BUT I LOOOOOOVE them. Don’t know if they are called Funeral potatoes because they are served after a funeral or is it because they lead to your funeral??? 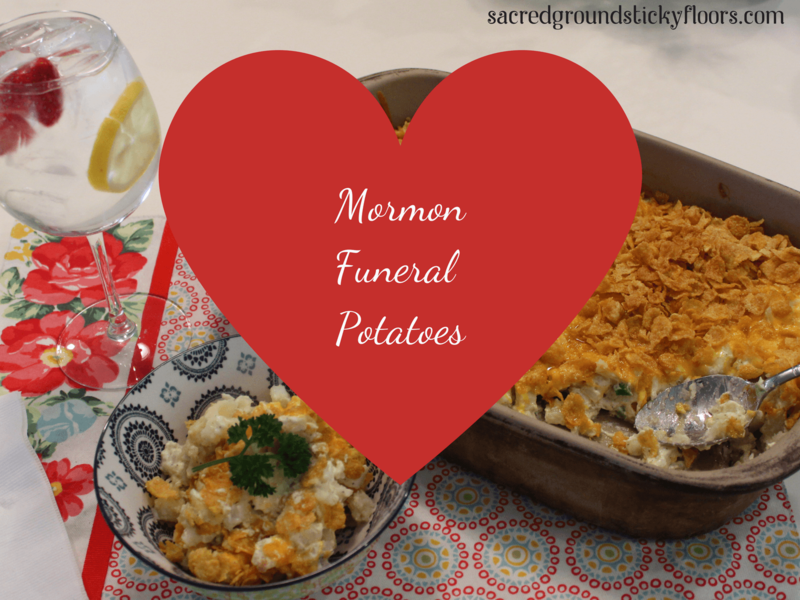 Some of the best foods are funeral foods! The Church ladies know what they are doing! I think it is because they are good, comforting, and you can make a large amount.